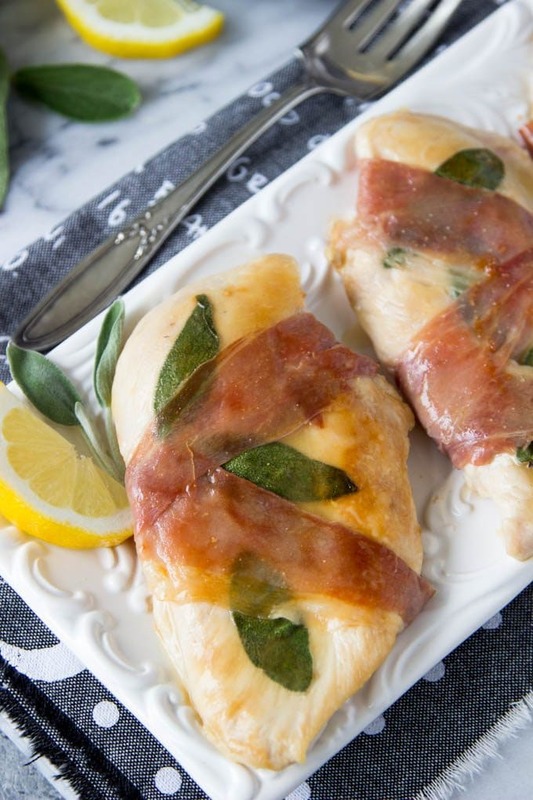 You just HAVE to try this super simple chicken recipe! It’s got a 5 star rating and only takes 15 min. from start to finish! It’s beautiful and totally a company worthy dish, but shhh…don’t let anyone know you didn’t slave in the kitchen all day to prepare this tasty meal! 15 min! that’s it! I came across this recipe in a food magazine. Some people collect shoes etc..I collect food magazines. I like to peruse through them for inspiration and just to gawk at the tempting food. This particular recipe comes from Cooking Light and I had it dog-eared and starred and have been meaning to make it for a little while now. I thought maybe I’d tweak around with some of the ingredients and give it my own spin, until I did a little research and realized that this particular recipe has a 5 star rating! yep..people loved it SO much. It was all raves and praise for this dish, for its tastiness and for just how easy it is to prepare. Why mess with perfection? I just had to try it, exactly as the recipe read. Wash and pat dry the chicken, sprinkle with salt. Add 3 sage leaves to the top of each cutlet. 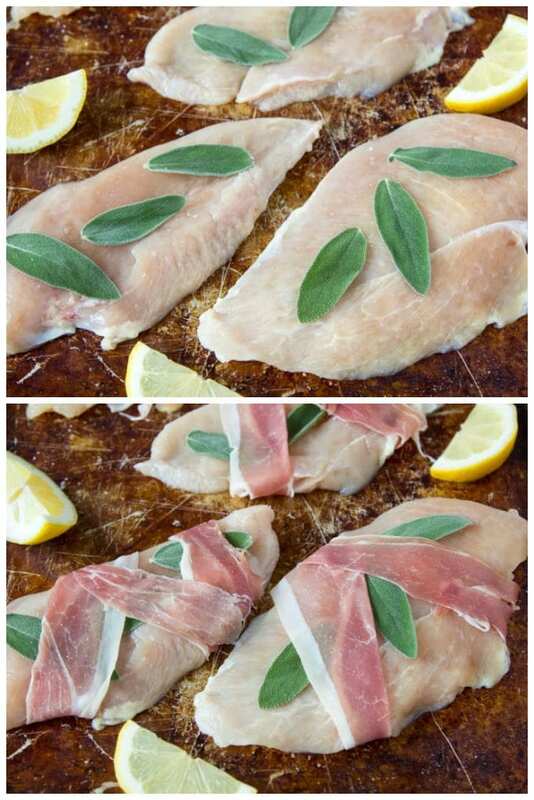 Wrap a piece of prosciutto (divided into two strips) around the chicken and sage leaves to hold the sage in place. Add a little olive oil to the pan and add chicken stock, lemon juice and corn starch to make the lemon sauce. Spoon over chicken and serve. Boom! that’s it! so EASY! I totally understand why this gets such great marks! It’s EASY! 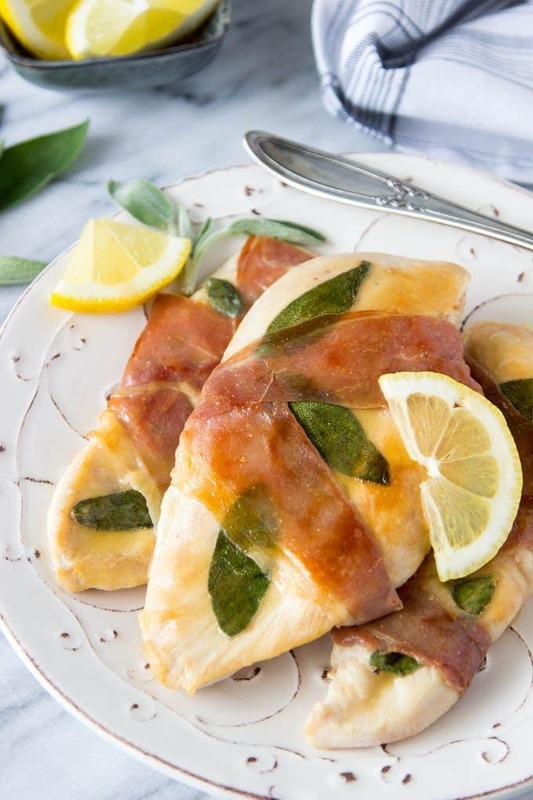 It’s LEMON, SAGE, PROSCIUTTO tastiness! and it only takes a few ingredient and 15 mins. to prepare ! Oh, and bonus, it only takes one pan! All around must keep this recipe in the “go-to” file! You know those dishes that are so easy you don’t even need to follow a recipe. You can just whip it up from memory. I guess I’m not alone in wanting super simple “go-to” chicken recipes. I posted the recipe for Hasselback Chicken (Chicken breasts that are “hasselbacked” -slits made in the chicken and then stuffed with creamy goat cheese and spinach) a few weeks back and it’s gone bonkers! (you can see the recipe here). This recipe calls for chicken cutlets which you can buy at your local grocers or you can make your own from boneless skinless chicken breasts. Here’s a an easy tutorial from Real Simple on how to make chicken cutlets. 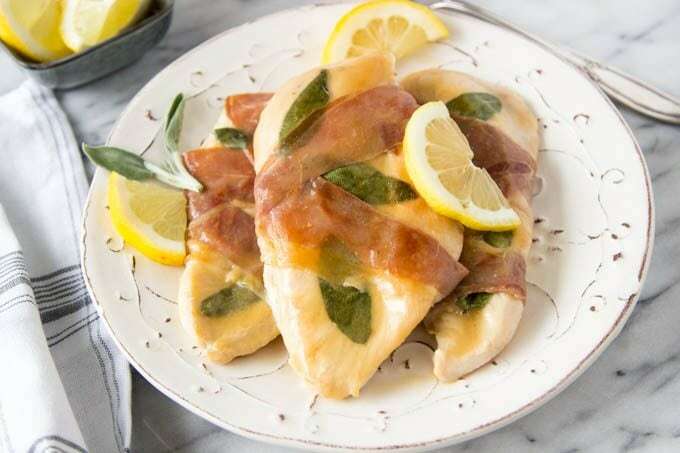 Lemon Chicken Saltimbocca for the super easy & tasty dinner WIN! Sprinkle salt on each chicken cutlet evenly. Place 3 sage leaves on top of each cutlet. 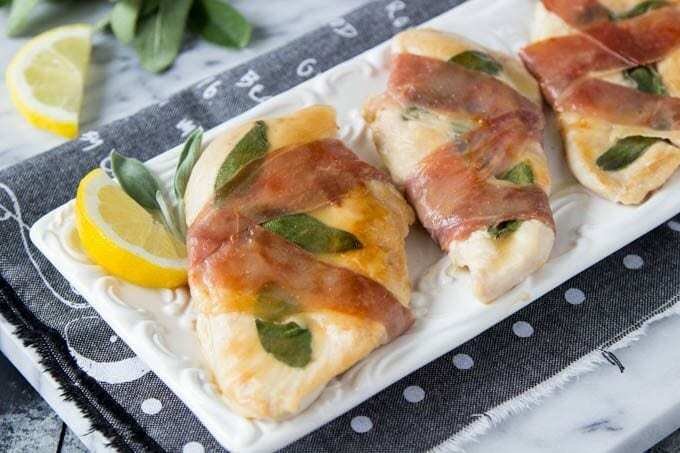 Wrap each cutlet with 2 prosciutto strips to keep sage leaves in place. Re-whisk cornstarch mixture and add to remaining 1 Tbsp oil in a pan, bring to a boil, stirring constantly. Cook until sauce is slightly thickened (approx. 1 min.) stirring constantly. Spoon sauce over chicken. Serve with lemon wedges ,if desired. Made this last night and my husband and I LOVED it! AWESOME! My entire family loved this recipe. It’s hard to find something everyone will eat….they all wanted more! I highly recommend! Thanks Sherri! I’m glad the whole crew liked it! !